I'm beginning to think it might be a good idea to butter up my kids' teachers each year. With some of them, school is NOT their favorite place to be and it can be a tough year. So I've been thinking about some inexpensive teacher gift ideas to start the year off on a nice note. I saw these great M&M themed cups at Walmart this summer and I bought a few. I'm not a hundred percent sure they are still available as my Walmart is not the best place to base any shopping on. But if you can't find them, I know they have other themes and styles available. 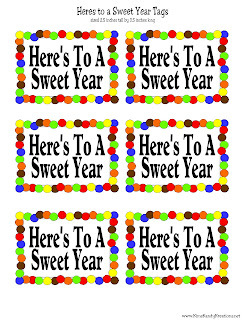 Then I made up a candy topper that says "Here's to a Sweet Year" and printed it out. I used a border from my Candy Dots collection that looks like M&M circles. I took off the lid and filled it with M&Ms. I screwed the lid back on and then tied the tag to the straw with yellow ribbon. Now I have a sweet gift for each of my kids' teachers. Hopefully this will butter them up and have them think "happy" thoughts about my kids every time they use their cup. Yes, I'm not above Bribery. 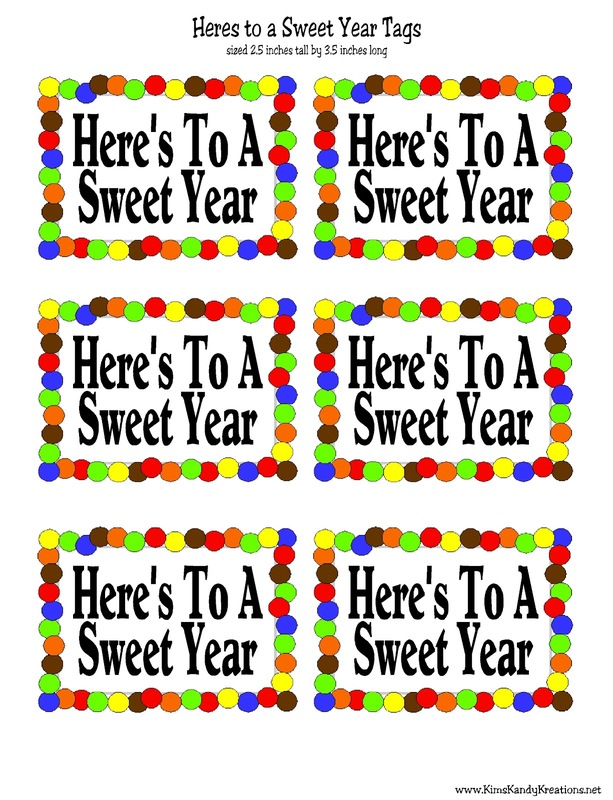 Here's the tag version of my candy topper if you want to try making one of these for your teachers. I hope I'll have the rest of the set up soon.